In a digital world, branding is not just limited to advertising in the traditional media. An important part of building a brand is to have a strong online presence. A webpage and social media channels in the brand's name are necessary tools for brand building. However, they are not sufficient. To maximize brand building potential, it is important that you create and share content that is not just about your brand, but related to the sector you are functioning. 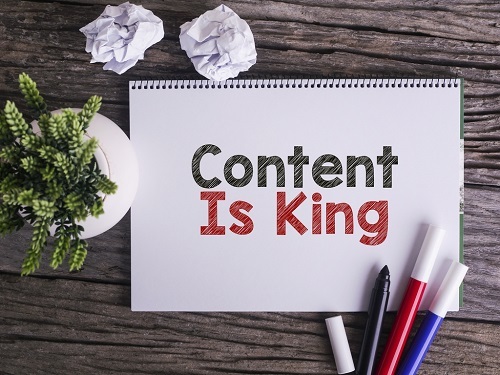 Content marketing involves creating and sharing relevant content using digital tools on infographics, blogs, podcasts, videos, and posts on social media platforms to create a buzz about your brand (while not explicitly promoting it), so that your target audience is hooked on to your brand. When you invest time and effort into content marketing, the user experience improves, which leads to more visitors spending more time on your website, more engagement, and better conversion rates. Useful and relevant content makes user aware of your brand. If that user is a potential right fit, then he or she will seek out your products and services. Content marketing can use an FAQ format to address the needs of the consumers. In addition to FAQs, you can directly engage with users to solve their issues, thus cementing their loyalty to your brand. With high quality content comes increased engagement. With increased engagement comes the opportunity for direct interaction with consumers. This direct interaction can build trust and your brand's credibility online. 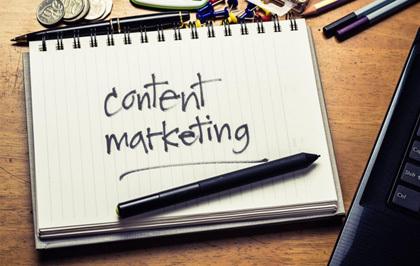 Content marketing can pay you high dividends even after time has passed, as new consumers will keep consuming old content and increase your traffic. Consumers these days rely on the content available to decide if they wish to make a purchase or a long-term commitment to your brand. Quality content has a direct impact on your SEO, thus improving the rankings of your website. Creation of a content strategy: We believe in measurable goals and help you determine how to create a comprehensive plan that incorporates SEO and other optimization techniques. Making the content plan: We help you plan the keywords, types of content and topics to create content about, based on what your audience needs. Creation of Content: Each channel you choose requires different forms of content to have maximum impact. We can help you with tailor-made content for various digital platforms. We make sure that your content is always fresh and relevant. We can help you build campaigns using email and social media. We track and monitor the effect of your content strategy with various metrics and change or update it as needed. Interested? Email or schedule a call!